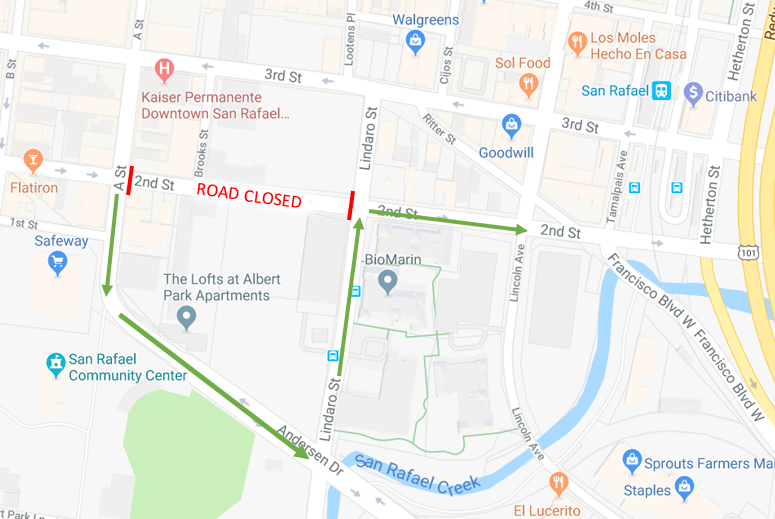 PG&E has been working along 2nd Street and Lindaro Street during the evenings the last few months to remove a casing from their 16-inch gas transmission line. Following an inspection, it was determined that a welded repair on the pipeline is now required. To get this done, 2nd Street will be closed from A street to Lindaro Street beginning on Monday 2/11 from 8 p.m. to 5 a.m. Please use alternative routes to bypass this closure. Access for emergency vehicles will be accommodated.